HACK YOUR WORKFLOW. TAKE KONTROL. What happens when you bring ergonomic, high precision tactile control to your favorite software? More work, done faster, with less pain. Hover. Control. Create. 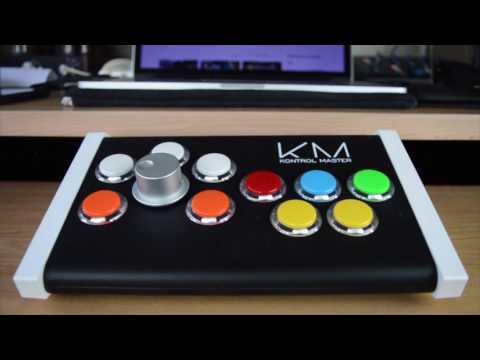 That’s the workflow the Kontrol Master brings to even your most complex software challenges. Simply hover over any parameter in your DAW or editing software, then control it with the high precision knob. Voila, you’re creating with ease. It’s the reason why everyone from Steve Aoki to the programmers at Blizzard Entertainment use the Kontrol Master to make their work easier. Enjoy the ultimate in reliability and accuracy with the Kontrol Master’s unique high precision knob. Made from high-quality pure anodized aluminum with an optical encoder, it’s the ultimate solution for solid, tactile control of software. And it just takes one knob to rule them all. A life expectancy of over 100,00 work hours. Sanwa arcade buttons tested for 10 million clicks. A body built from rugged, heavy-duty ABS plastic. Put simply, it’s a controller built to last. And last. And last. Multiple monitors add visibility, but all that space causes inefficiency. The Kontrol Master lets you have it both ways with a “frame relative” transport to quickly access additional monitors without dragging your mouse. This gives your wrist gets a break while you access all the apps and plugins you need, no matter how big your display. We believe creating should be as easy as possible, and no software should stand between you and your best work. The Kontrol Master was built from the ground up to be an intuitive link from your inspiration to your software, giving you the ultimate edge. Whether you’re a music producer, game designer, video editor, streamer, or just about anything else that involves extensive use of a mouse, the Kontrol Master is the precise, reliable, intuitive controller you’ve been looking for. If you live and breathe software, it’s the ultimate workflow hack. Coolest thing I own, Improved my workflow by 50%. I’m in love with my KM! A real knob is a pure happiness. The arcade button are perfect, very precise and with a short response time. The orange buttons are magic, good idea! You can literally control anything/everything on your DAW with ONE knob by simply hovering your mouse over where you want to control. On stage I just use two turntables, mixer & laptop, but in the lab I got a gang o’ gear! This lil gadget helps with the work flow! I love how you can just move your mouse over something then control it. No wonder they got all them awards! 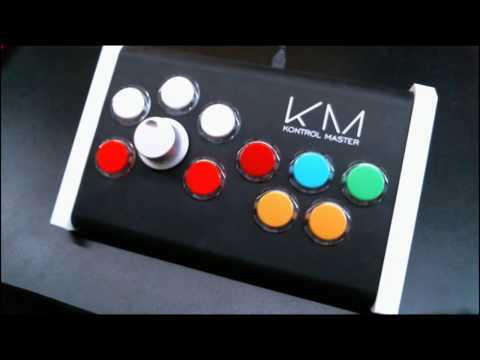 I love my Kontrol Master! I love the way it looks and feels! Everything from the quality of the buttons and knob, to it’s beautiful design. This can be customized to control any parameter of any software, less mouse clicking pain. Want to become a reseller? Contact Us!